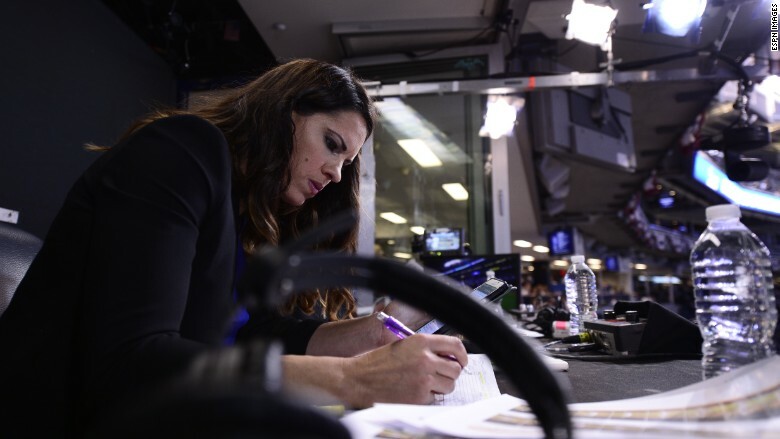 Fox Sports Radio tweeted out controversial comments that were made by one of its announcers toward ESPN baseball announcer Jessica Mendoza. Fox Sports Radio tweeted - and then deleted - a shot at Jessica Mendoza, ESPN's female "Sunday Night Baseball" analyst, saying if she was a man she would be fired. Fox Sports Daybreak co-host Mike North made the comments on Monday saying Mendoza, who is an announcer on ESPN's broadcast "Sunday Night Baseball," is "the worst baseball announcer who has ever announced the game of baseball." "If she was a man, she'd be Tony Kornheiser or Dennis Miller. Okay?" North said. "And that's the God blessed truth about it. Period." His crack was then tweeted out by the official Fox Sports Radio account. The tweet has since been deleted by Fox Sports Radio. "I will say you don't often see an official account from a sports media outlet blasting talent from another network," tweeted Richard Deitsch, a reporter at Sports Illustrated. "New world order for Fox." Neither Fox Sports and ESPN immediately responded for comment on this story. During his rant, North added that people can call him a "sexist," but said he is an observer who has been "listening to baseball announcers for 20, 30, 40, 50 years." North recalled a list of female sports announcers he respects like Michelle Beadle, Pam Oliver, and Cheryl Miller. "Apparently I have to tell everybody nowadays - because of the PC - the females I like before I can criticize one," North said. "What I do is I shut the sound down now to watch that game. She's just not a good announcer." In January, ESPN announced that it was switching up its "Sunday Night Baseball" play-by-play team by putting Mendoza and former Major League Baseball player, Aaron Boone, in the booth with Dan Shulman. The move made Mendoza ESPN's first female regular MLB analyst. Mendoza, who won an Olympic gold medal in softball, has been criticized by sports talk radio before, which led to an Atlanta sports radio host being suspended in October. Mendoza told CNNMoney in January that she expects the criticism and has learned how to "turn it off." "Any change, regardless of even me being a female... there's going to be resistance," she said. "At the end of the day, I just want to make baseball really fun for people to listen to."